A top Pak army officer responsible for its nukes is charged with corruption. How safe are Pak nukes? An important, though indirect, certainly inadvertent, consequence of the Panama Papers revelations on possible high-level corruption in Pakistan are fresh questions on the safety and security of that country's strategic assets-nuclear weapons and nuclear capable missiles. This while strong and continuing doubts of the (state-sponsored?) proliferation enterprise of Pakistan's national hero, a man widely publicised as the father of the country's nuclear assets, Abdul Qadeer Khan remain in memory. This is what has happened now. Lt. Gen. Obaidullah Khan Khattak the commander of Pakistan army's strategic forces command was removed from his post in September 2015 as he was found guilty of corruption in an earlier assignment. Pakistan army chief Gen. Raheel Sharif took the decision after an inquiry found that there was widespread corruption in the Frontier Constabulary (FC) in Balochistan; a number of senior officers faced action, among them Lt. Gen. Khattak who was the Inspector-General (IG) of the force from 2010 to 2013 and from there was given the sensitive army strategic forces command. The army leaked the information regarding the action against Lt.Gen. Khattak and other senior officers to pressure Prime Minister Nawaz Sharif to take credible action on the Panama Papers disclosures. The Papers reveal that his children are the beneficiary owners of offshore companies. While the leaks have had a great and direct bearing on Pakistan's domestic politics and have pushed Nawaz Sharif into greater political difficulties they also shed negative light on Pakistan's nuclear safety processes. As noted Pakistani senior journalist Syed Talat Hassan writes, "There will be global focus on the strategic positions that some of those dismissed have held. How does Pakistan pre-empt speculation of system leakage". There has been international concern about the security and safety of Pakistan's nuclear weapons, radioactive materials and missile systems. These apprehensions arise from the fear that these may fall into the hands of terrorists. The entrenched presence in the country of a large number of terrorist groups that are wedded to fanatical religious ideologies and their sympathisers lead many to give strong credence to these charges. 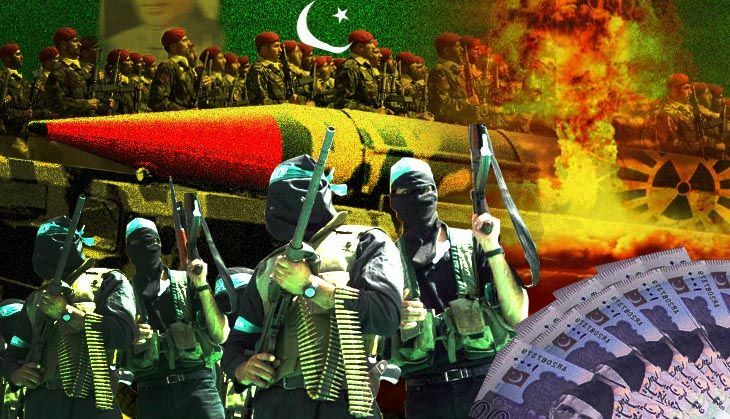 Over the decades, especially since the time of General Zia-ul-Haq, the Pakistan army's officers and soldiers have become more and more imbued with religiosity, thus adding to the fears regarding Pakistan's nuclear safety processes. Pakistan has claimed that it has put in place fool-proof systems for the physical security of its nuclear weapons and has a robust programme for the verification of the antecedents of all personnel associated with its strategic assets. Now the removal of the army's strategic forces command on corruption charges calls the efficacy of these systems into question. Lt. Gen. Khattak was obviously given a sensitive command only because he would have had a very good career record. The point is what were the checks that were carried out to look at his integrity before his appointment to this sensitive post? That is the matter which Pakistan needs to explain. To put the gravity of this matter in context it would be useful to briefly mention both the Pakistani command and control structure of its nuclear assets as well as the personnel security processes it claims it has put in place. Pakistan tested its nuclear weapons in May 1998, after the Indian tests. Amidst growing international concerns about its strategic assets it announced a multi-tier control system. At the apex is the National Command authority chaired by the Prime Minister and consisting of some ministers and the defence services chiefs as members. It claims that the use of weapons can only be sanctioned by this body. A Strategic Plans Division has been put in place to be the secretariat of the NCA. The SPD is entirely controlled by the army and is headed by a three star general. Thus the actual control of the weapons, their development and strategies for their deployment and safety and security is entirely within the army's domain. A special force under a two-star general has been raised to secure these assets. It is unlikely that the army will ever give up this control. The third tier of the system consists of the strategic forces commands. Of the three the army command is the most important for it maintains and stores the missiles that deliver the weapons. A vulnerable head of this command as Lt. Gen. Khattak certainly was because of serious corruption charges which merited his removal, makes the entire command vulnerable. It is because of this fact that the entire Personnel Reliability Programme that is to ensure that all person, military and civilian associated with all strategic assets are thoroughly vetted by a number of Pakistani intelligence agencies including the ISI is now open to serious doubts. Indeed the Pakistanis maintain that these persons are observed after their retirement too. How efficient are these procedures? As yet Pakistan has offered no explanation about how Lt. Gen. Khattak slipped through the security net. It need to give one along with a credible assurance that it is tightening its security systems so that the international community is satisfied that Pakistani nukes and missiles will not fall into wrong hands. This is especially relevant in this case as Balochistan is a hot bed of religious terrorists and the army's links with some of these groups is well known. This is where Lt. Gen. Khattak was posted in a force which is supposed to guard the frontier and where terrorists roam with ease, the FC turning a blind eye. Kulbhushan Jadhav: why has Pakistan Army chosen to name NSA Ajit Doval?